All editions are beautifully designed and are printed to superior specifications; some include illustrations of historical interest. 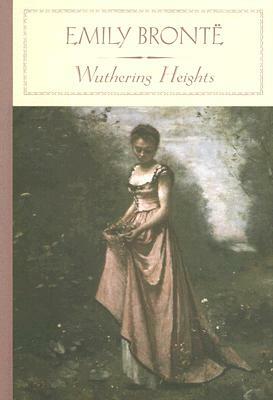 Barnes & Noble Classics pulls together a constellation of influencesbiographical, historical, and literaryto enrich each reader's understanding of these enduring works.Emily Bronte's only novel, Wuthering Heights remains one of literature's most disturbing explorations into the dark side of romantic passion. Heathcliff and Cathy believe they re destined to love each other forever, but when cruelty and snobbery separate them, their untamed emotions literally consume them. Set amid the wild and stormy Yorkshire moors, Wuthering Heights, an unpolished and devastating epic of childhood playmates who grow into soul mates, is widely regarded as the most original tale of thwarted desire and heartbreak in the English language.Daphne Merkin is the author of a novel, Enchantment, which won the Edward Lewis Wallant award for best new work of American-Jewish fiction, and an essay collection, Dreaming of Hitler. She has written essays and reviews for publications that include American Scholar, the New York Times, where she is a regular contributor to the Book Review, the Los Angeles Times Book Review, Elle, and Vogue.